Are U.S. Elections Being Manipulated From Rome? The fantastic rise and fall of Republican Presidential candidate Donald Trump in public popularity and the mysterious selection of Hillary Clinton as the favored Democratic candidate has all of the earmarks of a set-up. The media isn’t ignoring this fact any longer. It almost appears as if Trump waged a powerful campaign to sweep the GOP, then said and did things to destroy his popularity. Has there been a been for Hillary to get the job all along? What we find interesting . . . if not scary . 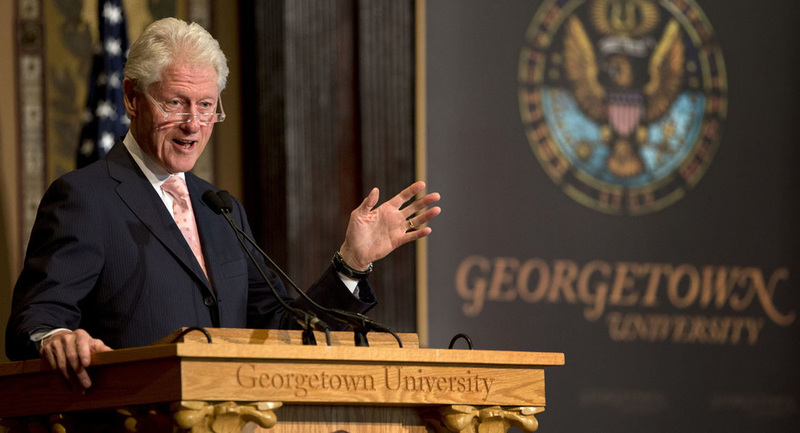 . . is that both Bill Clinton, our former president and Hillary’s husband, and Donald Trump are graduates of major Jesuit linked American universities. The Jesuit schools are among the world's finest and it seems to us that the brightest students are picked for special positions if they join the Jesuit cause. That cause appears to be an anti-Christian movement toward a one-world order, control of the world's business and finance and a control of the mindset of the masses. That is the Clinton connection, as much as we can find in this round of research. The background on Mr. Trump is much more revealing, however. “Trump claims to be Presbyterian yet he attended Jesuit Fordham University for two years and then transferred to the covertly Jesuit-controlled University of Pennsylvania. 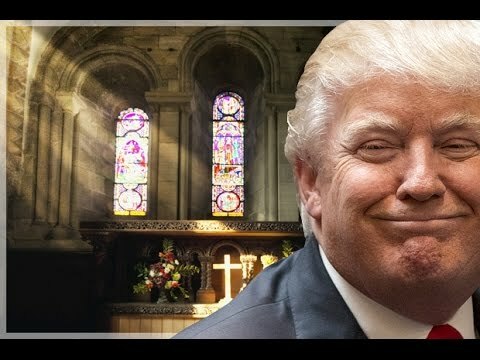 “Protestants do not attend Roman Catholic institutions, especially counter-reformation Jesuit institutions like Fordham University, so Trump is at the very least an apostate for having done that. However the story does not end with Trump. -Donald John Trump Jr., Alma mater: University of Pennsylvania. -Eric Frederic Trump, Alma mater: Georgetown University. It is well documented that the Bush family has been in bed with the Carlyle Group, Skull and Bones Society and the Vatican for years. These are all part of the Jesuit machine. While Bernie Sanders recently accepted an invitation to meet with Pope Francis at the Vatican, we find no evidence so far linking Mr. Sanders to this Catholic organization. We suspect the Pope called Bernie to Rome to bring him up to speed, in the event he happened to win the office. Whatever transpired behind closed doors remains known only to Sanders and the pope.